When one of the worlds biggest brands asked us for some “branded swag” we got just a little bit excited. If you’re wondering what branded swag is well, branded swag is the latest US linguistic import and refers to branded merchandise or logo printed promotional products. So why did Facebook need branded swag? They’re launching a new service called Workplace by Facebook, a modern and easy to use collaborative online platform designed for organisations to make sharing work and ideas easier. You may find this software making its way into your work place soon. But what does such a colossal digital company that has a solely online presence want with branded swag? Surely they have the whole online advertising thing mastered. Well they do, but branded swag offers some amazing benefits that can be used to support your online services and a distinctive quality no online service offers. Tangibility! In an increasingly online world sometimes it’s nice to ‘get off the grid’ and have something IRL (that stands for ‘in real life’ if you didn’t know). Branded swag has many other benefits too. One survey found 47% of people feel ‘happy’ when receiving branded swag and a staggering 76% were able to recall the name of a company they received branded swag from in the past year without the promotional products being in front of them. Simply put, branded swag can make your potential clients happy and your brand memorable. Just what you want right? 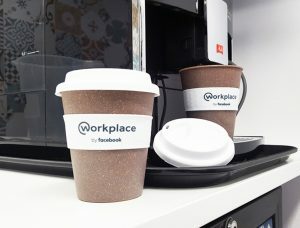 Facebook went big on their branded swag! Being a big business Facebook went all out and ordered a variety of branded swag items from ourselves. From classical to cool corporate gifts, this order had it all. 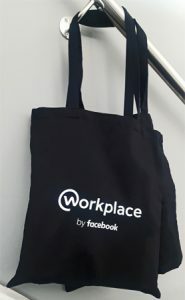 Here’s some of our highlights from working alongside Facebook on branded swag for their new business venture. 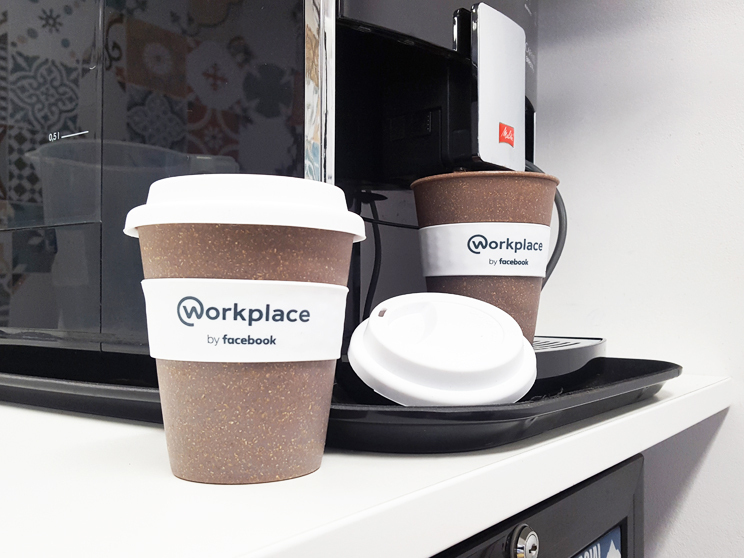 Coffee cups are incredibly useful and offer daily brand exposure and interaction. These ones are also made of bamboo and are reusable, perfect for passing on those pesky single use plastic cups polluting our oceans. Did you know a branded umbrella generates over 1,300 impressions in it’s lifetime? Thought not but you probably do know that that’s a lot of brand impressions for one item of branded swag. With an average of 156.2 rainy days per year branded brollies make a perfect branded gift here in good ol’ Blighty. 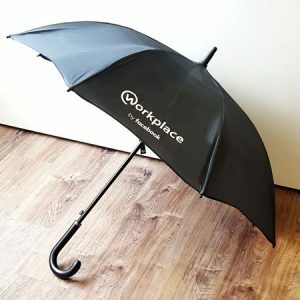 We love branded brollies so much we even wrote a whole blog on just how bloody brilliant they are, which you can read HERE. 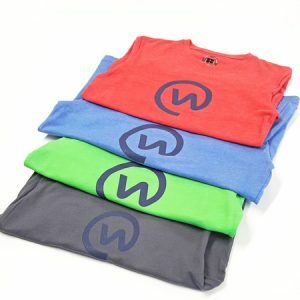 91% of brands use promotional clothing and T-shirts are the most popular garments of choice when it comes to branded swag clothing. No wonder Facebook wanted these. The British Promotional Merchandise Association found promotional clothing is mostly used to make staff distinguishable at trade shows, expos or as workplace uniforms. However, as with Facebooks branded swag, it can also be used as a promotional giveaway. They’re super useful, which is the top ranked quality for the perfect promotional item. They also perfect for encouraging users to switch from polluting plastic bags. Since the introduction of the 5p plastic bag charge in 2015 there has been an astonishing 86% reduction in these types of bags from the ‘Big 7’ supermarkets alone and with the charge potentially rising to 10p this could decrease further. This would mean more people using reusable bags which makes them an incredibly useful bit of branded swag to receive. The classic branded swag go to. 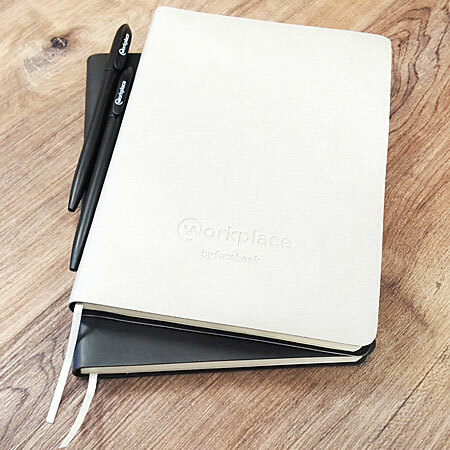 Stationery may not sound cool but it’s a big deal and one of the most chosen promotional items. Why? Because 81% of people have two or more pieces of branded stationery on their desk with the top two items being pens and notebooks. If your branded swag isn’t on their desk will your brand be in their minds come deal time? Looking to get your own branded swag? Brandelity has you covered when it comes to branded swag. If you want any of the above mentioned items yourself let us know. All of our items come printed with your logo. Contact us for advice and a no obligation quote by hitting the button below.